If an instrument has strings and needs repairs or adjustments, Ray's is the place. When someone wants instructions from top-notch professionals, Ray has the teachers. Every Wednesday at 7 p.m. is acoustic night at Ray's for jamming, no matter the skill level or instrument. Also, if a musician needs a hookup for a band or just someone to jam with, a picker can be found at Ray's. Ray's interest in becoming a guitarist began when he was 16, and he later studied the instrument and music at Miami-Dade College. "It was heavy metal and hard rock," said Ray. "I was into Van Halen, Journey, Judas Priest, and Ozzy Osbourne. I had to find out what that was all about." Ray joined a band named Crystal Dagger when he was 18, and it played a few parties before dissipating as many bands often do. Then came the band Sin City, which solidly played the South Florida circuit, beachfront bars, and such, and even had a few gigs in New York. "At that time, music was in a flux and tastes changed from hard rock to grunge," said Ray. "So our window of opportunity closed and we eventually disbanded." Ray worked at several music stores before getting into the real estate and mortgage business, where he found success but the bottom eventually dropped out of the market. No matter his career change, rock-n-roll was in Ray's bones and he fulfilled a desire to have his own guitar store. "I had a friend who had a small independent guitar store in Broward County and I followed his pattern," said Ray. "I wanted to be able to give personal service that you can't get in the big chain stores." Ray continued to play lead guitar in the Jack Stevens band until Jack, the lead singer, suddenly died a few months ago. However, Ray intends to keep playing, and another band is generating in his soul. 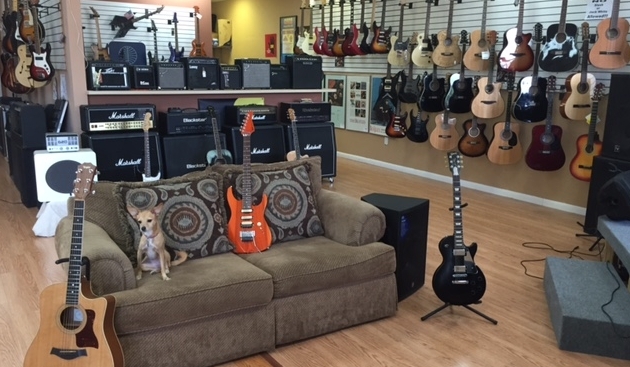 "I'm concentrating on having the best independent guitar and music store in South Florida," said Ray. "It's rock and roll forever."